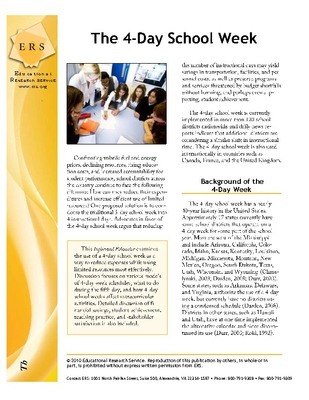 Each issue is a concise summary of the available research on a single topic of concern to K-12 educators, relevant and applicable to school administrators and staff alike, across all grade levels. Published 6 times per year, in electronic format only. Full access available to UNI affiliated individuals only. Excerpt from the report The District Leadership Challenge: Empowering Principals to Improve Teaching and Learning from the Southern Regional Education Board. 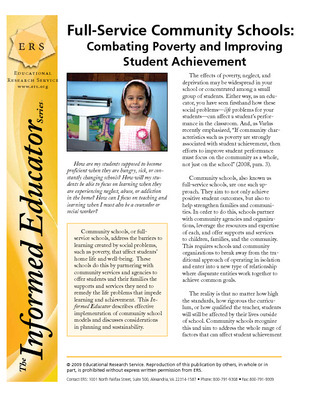 Community schools, or full-service schools, address the barriers to learning created by social problems that affect students' home life and well-being. This report describes effective implementation of community school models and discusses considerations in planning and sustainability. 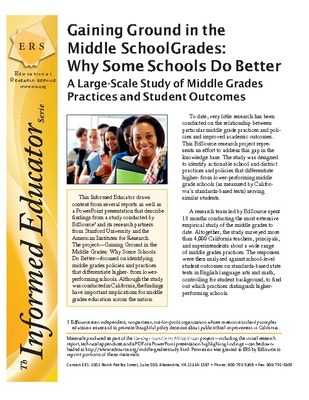 The report draws content from several reports and a PowerPoint presentation from the project Gaining Ground in the Middle Grades: Why Some Schools Do Better that focused on identifying middle grades policies and practices that differentiate higher- from lower- performing schools. 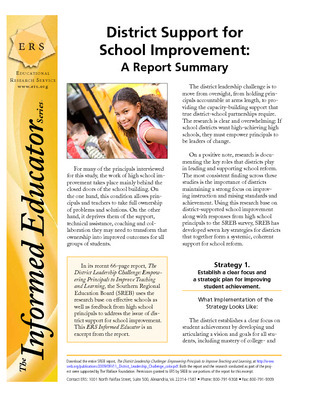 The report examines research-proven strategies for implementing and sustaining school improvement by looking at the key elements of the process, enabling conditions for improvement, issues of school culture, and implementation. 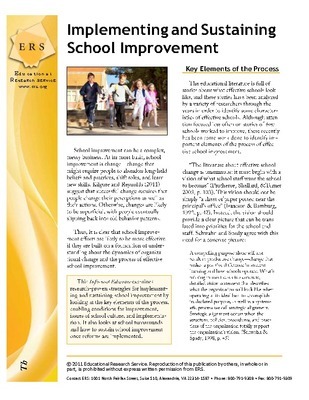 It also looks at school turnarounds and how to sustain school improvement once reforms are implemented. 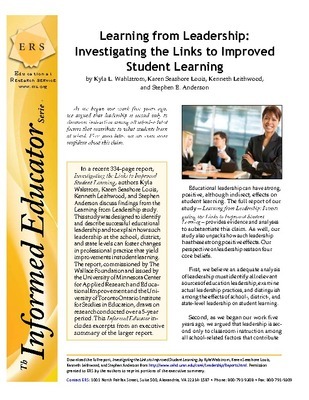 Excerpts from an executive summary of the report Investigatin the Links to Improved Student Learning by Kyla Walstrom, Karen Seashore Louis, Kenneth Leithwood, and Stephen Anderson. 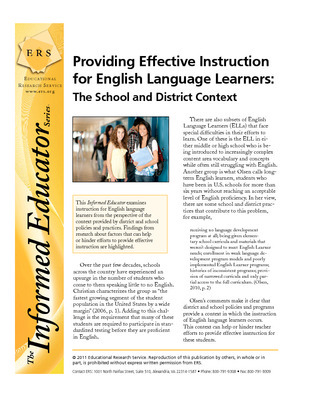 The report examines instruction for English language learners from the perspective of the context provided by district and school policies and practices. 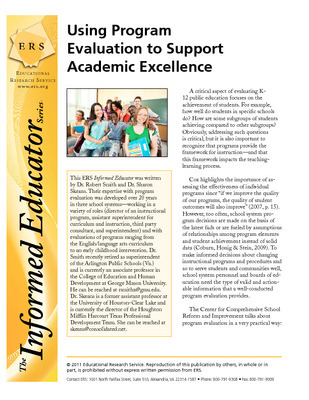 Findings from research about factors that can help or hinder efforts to provide effective instruction are highlighted. 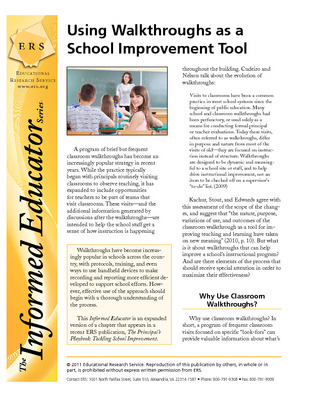 Reponse to Intervention (RTI), an approach to systematically addressing the needs of struggling students, has been used primarily at the elementary school level. 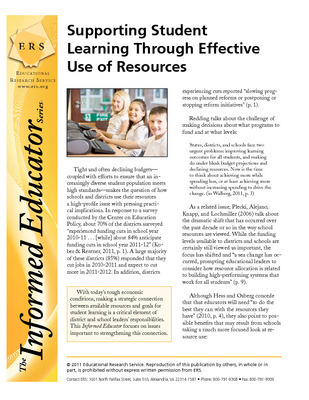 However, both its intent and its elements can also be used successfully in high schools. 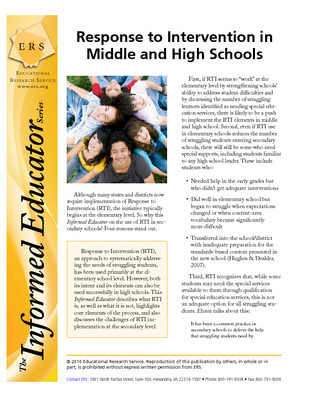 This report describes what RTI is, highlights core elements of the process, and discusses the challenges of RTI implementation at the secondary level. 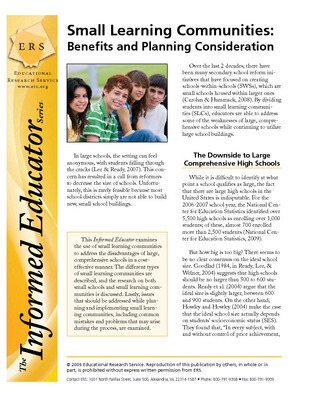 This report examines the use of small learning communities to address the disadvantages of large, comprehensive schools in a cost-effective manner. 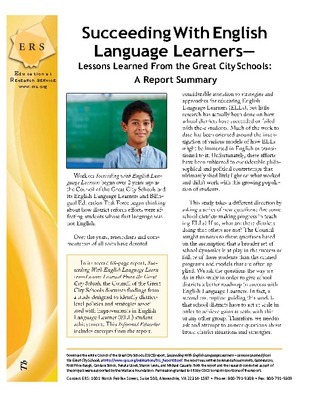 Excerpt from the report Succeeding With English Language Learners--Lessons Learned From the Great City Schools by the Council of the Great City Schools. 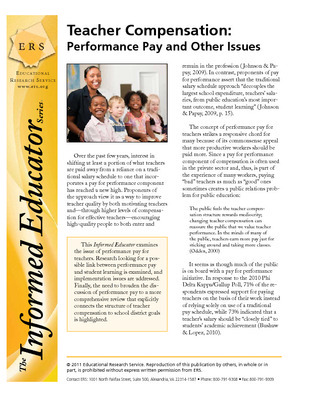 The report examines the issue of performance pay for teachers. 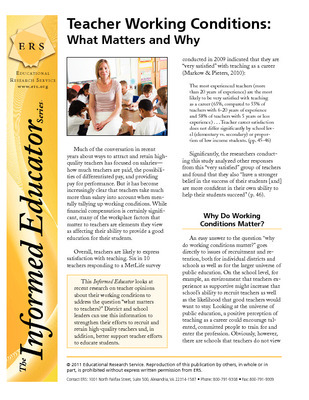 The report looks at recent research on teacher opinions about their working conditions to address the question "what matters to teachers?" This report is an expanded version of a chapter from The Principal's Playbook: Tackling School Improvement that covers the practice of walkthroughs as a management practice.